Flaco, made with Spain’s signature Tempranillo grape, means “dude” in English. In the words of The Savvy Lush, Flaco “is the best goof-proof, budget-friendly wine out there. Spain is the largest producer of Tempranillo. These thick-skinned grapes are grown in regions that have hot days followed by cool evenings. This creates a concentrated, yet balanced flavor.” It is produced by Vinos Atlántico in the Demoninación de Origen (DO) of Vinos de Madrid. 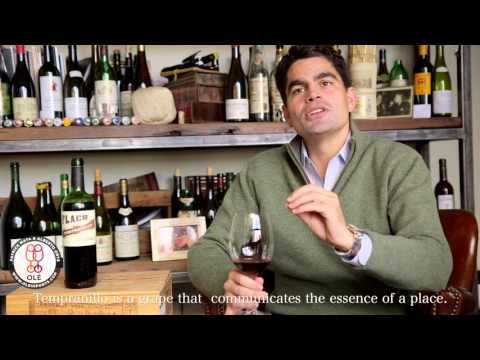 Flaco shows the complexity of a serious wine for the price of a song! The luscious fruit and soft texture make it a perfect wine for everyday drinking. Madrid is not only the capital of Spain but also one of the country's most interesting wine growing regions. The outskirts of this great royal city are full of old Tempranillo vines. Most Spaniards do not know that Madrid makes wine, and therefore don't know the incredible values that Madrid showcases at the present time. Madrid is the great unknown. WHAT MAKES THIS WINE UNIQUE? Produced from dry-farmed vineyards. Flaco shows the complexity of twice its price. These vines are tended in diverse micro-climates, allowing for more consistency of ripeness year after year. Yields are very low (31 ha/hl average) resulting in wines that showcase extreme quality for its price point. PAIRING SUGGESTIONS: The fresh, pure character of this wine makes this an extremely versatile wine to pair with food. This wine pairs well with white meats like pork and chicken and flaky fish like hake, cod or flounder. This has the fruit and acidity to match with red meats, as well. VINIFICATION AND AGEING: Aged in stainless steel tanks and cement tanks of 10,000 lit capacity. The short cycle Tempranillo variety is usually harvested mid Sept. Maceration and fermentation takes 10 days for Tempranillo, followed by 2 days of post maceration at cool temperatures (41F). LOCATION, SOIL, CLIMATE: Zone 7, coming from the Arganda and Navalcarneros districts, located southeast and west of the city of Madrid at 750m (2,400 ft) elevation. The vineyards are composed of sand, limestone and clay soil. The average temperature between April and October is 66.7F with 20.1 inches of yearly rainfall. The Southern Continental climate's hot days and cool nights plays a major role in the slower, yet more balanced ripening process of the grape. TASTING NOTES: Brilliant ruby-red. A highly perfumed nose evokes ripe red berries and floral pastilles, and a hint of white pepper lends a spicy touch. Plush, seamless and gently sweet, offering raspberry and cherry compote flavors that become more energetic on the back half. Emphatically fruity and supple in texture, finishing with just a hint of smooth, harmonious tannins. This fruit-driven, very appealing wine offers superb value. -- Josh Raynolds.